Following a previous refusal at appeal on the site, ECE were approached by the client to create a sensitive design response which was in keeping with the context but with a contemporary twist. 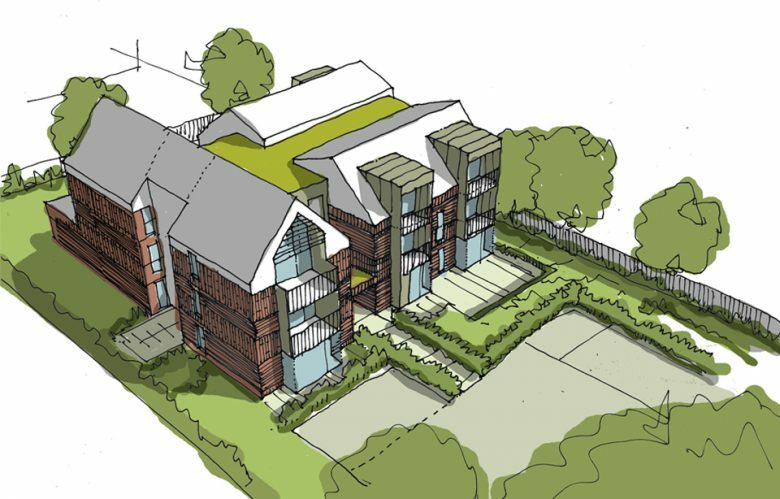 Following initial reservations about quantum and design approach, ECE provided a series of design options to build a case for the scheme, which was received positively by planning officers and residents. The approved scheme achieved nine apartments – one more than the refused appeal scheme. The proposed development offers a range of accommodation that includes a mix of 1, 2 and 3 bedroom homes. 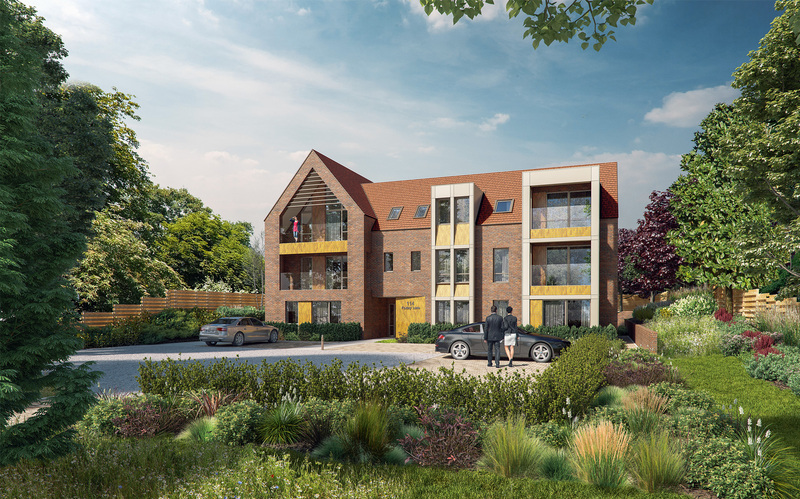 The design approach aims to respect the sites setting in Woodcote, drawing upon the architectural style and materials used in both the neighbouring properties and The Webb Estate. These influences have been used in an interesting and creative way to provide an individual a well-considered residential development of the highest architectural quality. Focusing on a landscape led approach, the design exploits the existing trees and hedgerows to maintain the street scene appearance with planting increased to boundary edges These all contribute to the sylvan setting of the proposal.